The bus information used to list the route number for the student. Now it appears to be a phone number? Please put the rout number back in. No instructions on how to add students to one account. Each parent has different log in per student. Between my husband and I, with 2 students- that is 4 different log in names. It won’t allow add/edits to email, phone number or make any changes to demographics. Parent Portal at least has ability to review all students in 1 log in. Is there anyway one can get duplicate app for multiple kids,instead of logging out and in for kids? Your app is giving me a lot of problems. It is slow and when I want to log in it gives me problems. The app has some nice features and is user friendly for the most part. The only issue is signing it. Logging in is an absolute nightmare, making those attributes obsolete. it keeps saying URL not found and when it does let me log it says error. Unable to select the school district. I keep getting an error message. So far so good , this app has been working fine. I had to log in through the single log in option at the bottom of the log in page, otherwise it won't log you in. My school isn't even on it. It has the potential to be great. My biggest complaint is it will not let me change my telephone numbers which I have been fighting for years. Every time I attempt the app crashes. 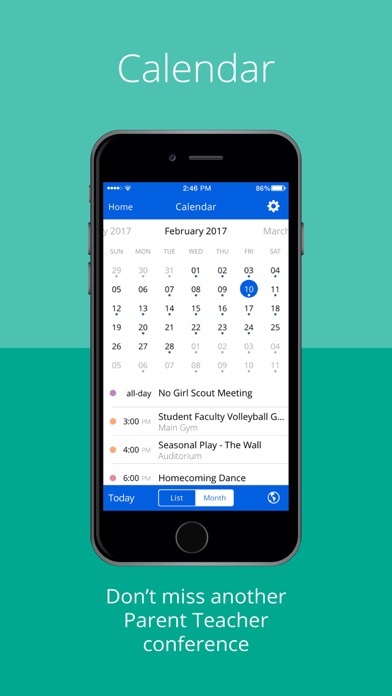 The old app you were supposed to be able to have the school change it and despite having several conversations it still contains incorrect information. For those of you struggling to log in you have to select single sign in option then you will be able to use your old info. You can't login with any information you've previously been given, you can't create an account, I did not want this. It will not accept any of my correct log ins even the page I need to sign will not load. As a parents, I was very excited when this app went online. I made a district account and log on following the instruction of the district. HOWEVER, the app would not accept my log on attempts. I tried TWO different accounts, uninstalled the app, reset my passwords and created a Blackboard account. This is very frustrating, considering that this app is supposed to make life easier for parents. 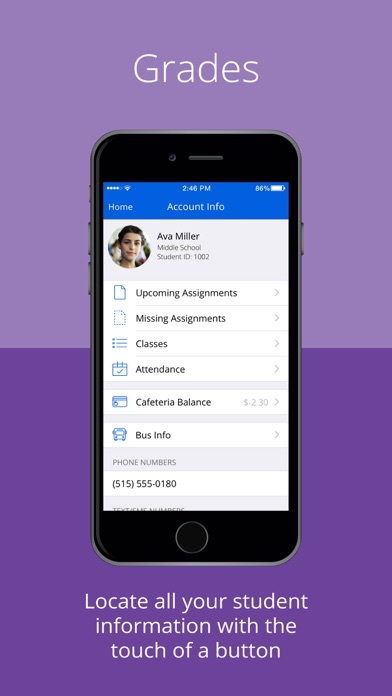 This app is great in bringing all my students information into one spot. Grades, assignments, menus and even events. Two thumbs up from this momma!! The developer should have tested the app thoroughly or even kind of tested the app. Make sure you tested it on different devices too. App crashes often. Simple links go no where or to the wrong places. Navigation is hokey at best. What's app with the weird home page navigation. The top part should slide by itself independent of the bottom part. It is not good standard UI. There are UI guidelines for a reason. It will only show one of my children, they both attend the same school. Not a lot of updates. Has potential but school needs to use. What a great company! First class all the way. It won't allow anyone to sign into their account... Sometimes is crashes. Please fix these bugs! Notification badge shows, but when logging in there are no notifications in my box. 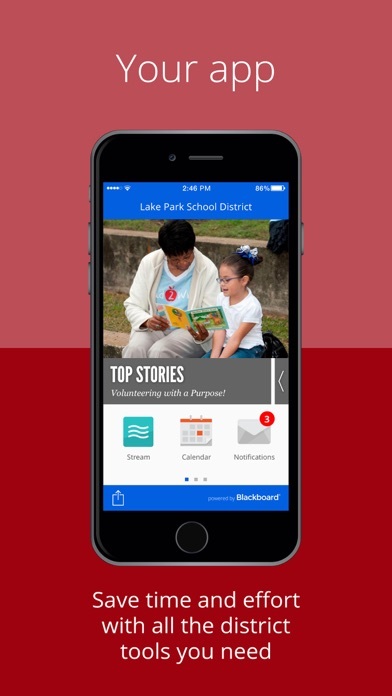 Same for the new Lee County Schools app. Won't even let me log in even though I put the correct student ID number and password. I check this app daily for information. It is quick and easy to use. I would suggest being able to put multiple accounts at a time on it as most folks have more than one child. Doesn't upload new grades right after all the teachers upload the new grades and my teacher said that my school won't be using it next year because it's so bad. Words can't explain how amazon this app is ! I love that it keeps me up to date with my child's grade! No esta mal,pero creo k pueden mejorar!!! When I first got this app it was working great. But recently it stop getting notification. I was still getting the email updates but no updates on this app and when I open it it says there is no updates. Can someone explane?